The eight-story, 309-room full-service hotel is just minutes from Historic Downtown Naperville area businesses and popular attractions. DiningMeal options abound – from the area’s numerous eateries as well as on-property offerings. At the hotel, guests can enjoy daily breakfast, lunch and dinner at Thirty 0 Three Restaurant, which specializes in contemporary cuisine and serves a variety of entrees, such as triple grilled cheese and potato-crusted halibut. 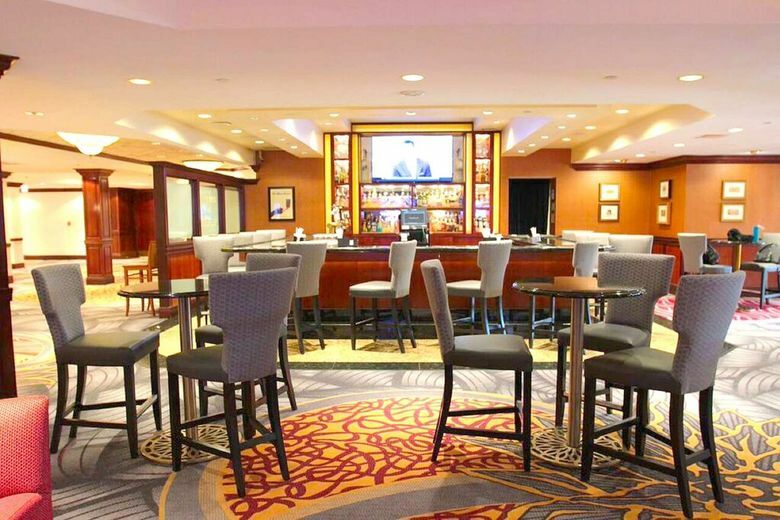 Guests can also enjoy the lobby bar and 24-hour lobby pantry. AmenitiesGuests seeking exercise or relaxation have a variety of options, including the 24-hour fitness center with Precor® equipment and free weights, heated indoor pool and whirlpool, outdoor sundeck, complimentary access to LifeStart fitness center next door and transportation within a 5-mile radius of the hotel. Additionally, access to scenic running/biking paths along Herrick Lake and The Morton Arboretum is just a few blocks away. Meetings & EventsWith 19,000 square feet of meetings and events space, DoubleTree by Hilton Lisle Naperville is the perfect venue for weddings, business meetings and other gatherings. Offering 23 flexible meeting rooms, including the stunning Regency Ballroom with elegant crystal chandeliers and grand doorways, the spaces can accommodate up to 500 guests for any occasion. DoubleTree by Hilton Lisle Naperville is also part of Hilton Honors, the award-winning guest-loyalty program for Hilton’s 16 distinct hotel brands. Members who book directly have access to instant benefits, including a flexible payment slider that allows members to choose nearly any combination of Points and money to book a stay, an exclusive member discount, free standard Wi-Fi and the Hilton Honors mobile app.